Texas Trace has had many years in the breeding of Boykin Spaniels and we know there is limited information on spaniels and flushing gun dogs especially for Boykins. The recommendations are some of our own writings and some from other sources that we have found very useful. Our hope is that you also find them useful or at least interesting. The articles are in PDF and simply click to read. The books listed can be located at your favorite online or retail book store. “Their philosophy of raising dogs accentuates the essential human-canine bond, whereby owners must learn to understand a dog's instincts, needs, and behavior. Understanding a dog, the monks say, is the key to successful training. Basic puppy training techniques are explored and executed, all of which puppy owners should find easy to implement. This is a training manual for dog owners. The Monks of New Skete advocate that “understanding is the key to communication, compassion, and communion” with your dog. This book is easy reading and prepares you on each step of training your spaniel to hunt and to compete in hunt test. It is very informative and provides a progression for learning. The techniques are easy to apply and are specific to a spaniel, flushing dog. “The 10-Minute Retriever reflects the authors' belief that daily ten-minute training sessions best suit a retriever's attention span and lead to rapid learning. 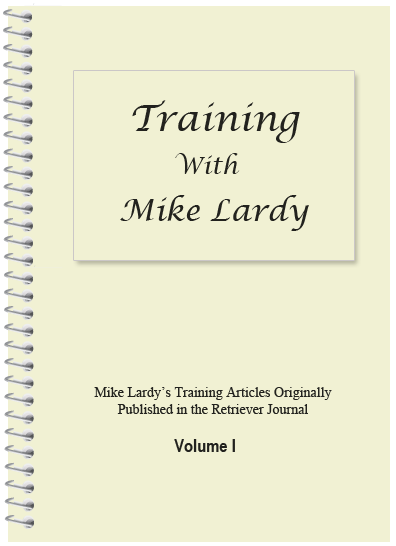 This book is easy to use for the absolute beginner and yet deeply informative for the serious student of retriever training. This book is directed to owners of retriever puppies in their first year, but the program is equally effective with young retrievers starting beyond that age. It gives your retriever the necessary disciplines and skills he will need to become a reliable hunting companion. This book will help with training the flushing, working spaniels. It is clear and informative with a lot of illustrations. Please visit our links page for additional information on Boykin Health, Clubs and our friends.